Dudeo Perez stands against a brick wall outside the Bombay Bar & Grill. Left to right: Spencer Cefalu, Noah Boland, Jackson Morris, and Jackson Reynosa stand outside the Bombay Bar & Grill. Three alumni and one current student at Ventura High School form Dudeo Perez: a band inspired by a childhood alter ego created by lead singer and guitarist Jackson Reynosa. 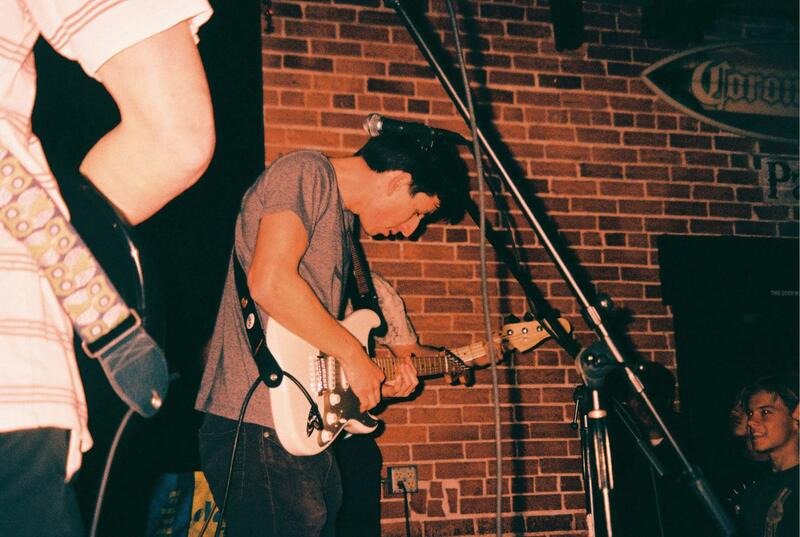 The boys performed their debut album, Allons’y, in Ventura on Jan. 27. When we met in the dimly-lit Bombay Bar & Grill before their performance on Jan. 27, each member of Dudeo Perez was dressed casually with laid-back smiles plastered on their faces. They exuded passion and excitement. The band was supposed to go on at 7, but when we met minutes before the clock struck 7, they were not concerned in the slightest about time. In the short time we talked, the band used words filled with passion and excitement, encapsulating what Dudeo Perez means to them. As the boys re-entered the bar and took their positions on stage, teens and adults alike filled the narrow, alley-like venue to the brim. Some watched and ate from the back of the bar, while the majority of teens packed themselves tightly together, forming a ring around the makeshift stage. As the lights dimmed, the crowd whooped and applauded, and the band’s indie pop rock music permeated through the room. The kick drum reverberated through my bones and the bass and guitar enveloped my eardrums. The volume was ear-splitting, but it was fitting; Dudeo Perez produces music that demands to be blasted. Dudeo Perez plays songs off of their new album, Allons'y, for an excited crowd. Noah Boland stands left on guitar, Jackson Reynosa sings an dplays guitar in the middle and Spencer Cefalu stands right on bass. Jackson Morris plays drums behind them. 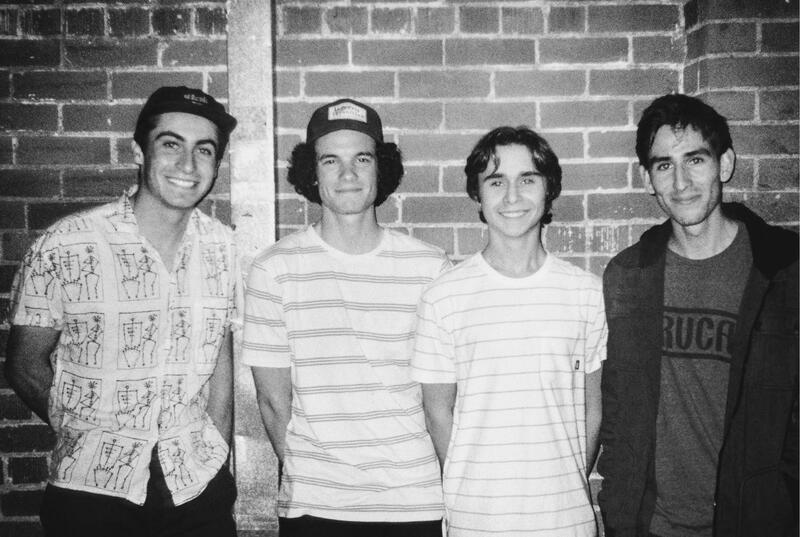 Noah Boland ‘16, Spencer Cefalu ‘17, Jackson Morris ‘20 and Jackson Reynosa ‘16 are all Ventura High School ( VHS) alumni or students, and they formed the band around six months ago. In July of 2018, Morris met Boland, who said that he was currently working on a side project with Reynosa. Morris was familiar with Reynosa, as Reynosa’s mom is a science teacher at VHS. 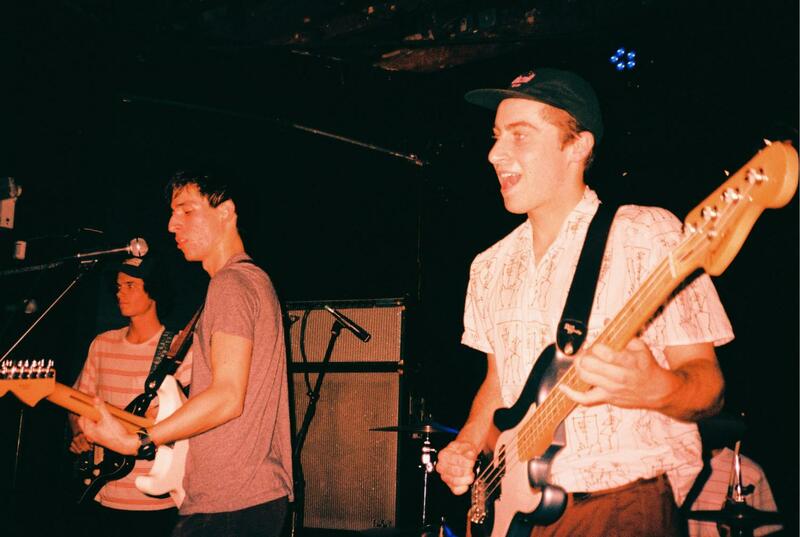 When the three started playing together, they felt a “chemistry when it came to music.” One day, Cefalu met up with them, and Boland suggested that he played bass with the group. The band name, Dudeo Perez, is inspired by an alter ego that Reynosa created as a child. The alter ego is designated for “a kid in general” who was the same age that Reynosa was at the time. According to Reynosa, Dudeo Perez is not an alter ego created for himself, but rather for “anybody” with a large imagination and big dreams who was underestimated as a child. 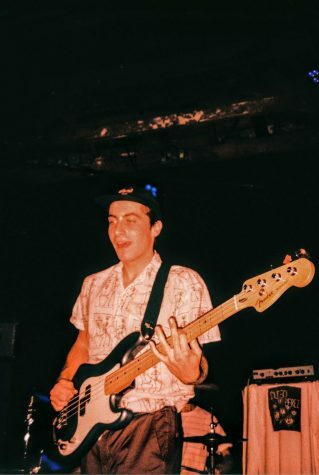 Spencer Cefalu, bass guitarist of Dudeo Perez. When the band started working together and writing songs, they wanted to bring back the name that followed Reynosa as a child. The first and most recent album released, Allons’y, is inspired by Dudeo Perez’s life today. “The album kind of takes you through each little story he’s got,” he added. Lead singer and guitarist Jackson Reynosa jamming for an excited crowd at Bombay Bar & Grill in Ventura. Reynosa is the one who writes the lyrics and composes a story based around how the song feels or how the bandmates feel at the time. According to Morris, some of the songs were written over a long period of time, while others were written while “jamming out” together. When one of the guys comes up with an idea, he proposes it and then each member puts their own spin on the idea based on the instrument they play, creating an “interesting sound,” Morris said. “It was really cool to see ‘em come together ‘cause it’s something that I could’ve never expected to happen,” he said. The majority of the band’s favorite song off of Allons’y is U.N.N. According to Boland, Cefalu and Morris, it is their favorite to play live, as it includes a lot of fun parts. Morris also really enjoys Sushi House. For Reynosa, his favorite has been 10:06 for a while. “The minute this band stops playing that song, I’ll be pretty bummed,” Reynosa said with a laugh. Embedded below is Allons’y. Released on Jan. 2 of this year, the band performed their debut album as they toured through Isla Vista, San Luis Obispo, Santa Barbara and Ventura. Although only released a month ago, their artist profile on Spotify has garnered roughly 2,536 monthly listeners.